TheatreArtLife was created by the live entertainment and theatre industry for the industry. Our contributors are industry professionals working about the globe on shows and productions. In our “A Moment With” series, we give the opportunity to our contributors to tell their story and share their personal journey working in the entertainment industry. I originally trained as a hairdresser and worked in a salon for a couple of years before I went into wigs. I can say that having a hairdressing background has helped me so much and l’ve definitely gotten jobs because I have the ability to cut hair. You don’t need to have a hairdressing background to work in wigs but I would 100% recommend it to anyone wanting to make it their career. What is the best role/job/gig have you done and why? I’ve been really lucky and had some amazing jobs over the years but two really stand out, but for really different reasons? The first is Priscilla Queen of the Desert The Musical, I can honesty say we laughed all day from the moment we got into work till the moment we left. The wigs were massive over the top larger than life drag which were so fun to do, but it was the people that made that job one of my absolute favourites. I’m not sure if it’s because it was an upbeat fun musical or if it was just luck. Quite often there is a bit of a cast/crew divide on jobs but this one I swear we were having more fun back stage than what was going on out front. The second was Hairspray in the west end. It’s the show that every hair and wig person dreams of doing. The show that’s all about the hair! I learnt so much on this show and can now backcomb the hell out of anything, it’s much harder than people think as you have to knit each section to the last as if not it all just breaks up. It has to look smooth while still keeping the backcombing in. There were so many wigs and the hours were long but it’s still a job I look back on very fondly. What was the worst task you were given when you started out? It was my second theatre job and my first ever musical. It was a show that featured a lot of children and the main character was played by a child. Unfortunately I guess with that many children it was bound to happen, one day all the principle children came in with head lice. So, with an hour to go before the show I was there, gloves on, solution and nit comb in hand getting the little beasties out their hair in time for the performance, not my finest hour! What do you think is your best skill? I would say cutting down new wigs. Often when new wigs arrive they are left long by the makers and you have to cut them down into their desired style. I know lots of people that hate doing this as of course it doesn’t grow back and with a wig costing between £2000 and £3000 it’s a costly mistake to make. For some reason I have no fear of it, and I actually really enjoy it. My favourite is getting a mid length wig and cutting into a short man’s hairstyle. I love the transformation. What do others think is your best skill? Lots of people comment on how organised I am. I love a chart and list! I also like to put a photo of each cast member wearing their wig on the front of each of their wig blocks. It’s a great way of new people getting to know the cast and a quick way to check the wig looks correct when redressing it. I know a few other heads of departments on other shows use my little trick now. I would say to maybe be a bit less sensitive. Working in theatre doing our job especially as we are in close contact with people often in their personal space, so if someone’s having a bad day we are normally the first person to hear about it. Also things can get pretty busy and sometimes there is no time for niceties. When you first start in theatre it can be quite a shock, conversations happen that I’m pretty sure wouldn’t happen in any other work place, it’s actually one of my reasons I love it but sometimes you do just have to let things go over your head. Currently I’m Head of Wigs/Hair/Make Up on Andrew Lloyd Webber’s west end production of School of Rock, which is the musical version of the Jack Black film of the same tittle. Mel Brothwell trained at the Somerset College of Arts and Technology and begin her career as hairstylist working in a salon before breaking into theatre. Her first wig position was back in 2006 working on the London production of One Flew Over the Cuckoo’s Nest. 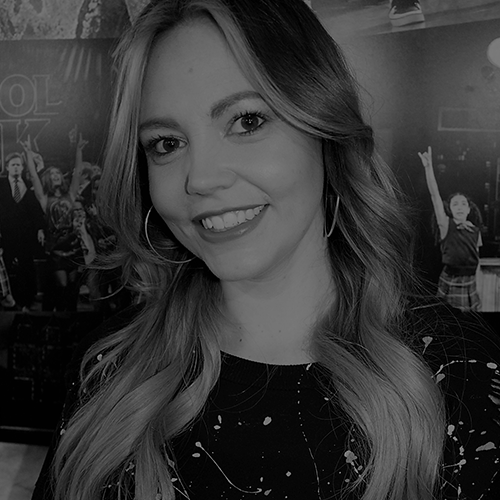 She then went on to work on a number of west end shows including Billy Elliot, Hairspray and Grease, before getting her first head of department role on the London production of Rock of Ages. Since then she has gone on to lead wig teams on the original west end productions of Dirty Rotten Scoundrels, Elf and Beautiful the Carole King musical.